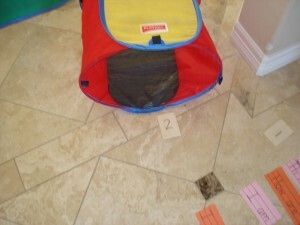 When I first began brainstorming on how to work with Andrew at home, I envisioned a treasure hunt with clues scattered about. As I got thinking about how to make this work best for both of us, I knew that while the format of a hunt would be fun, I needed something more structured and systematic. I was overwhelmed before I even started thinking about all of the work involved with just coming up with clever ways and clues each time. Too hard! While on a treasure hunt of my own at Michael’s to gather supplies and materials, I saw these blank rectangular pieces of wood and thought that they would be perfect for creating a real life dot-to-dot. I purchased 20 of them and wrote numbers with a black permanent marker. I decided to take it one step further and instead of using it purely as a dot to dot station, I thought that it would be cool to use them as station markers so he would know where to start, where to go next and also where to stop. 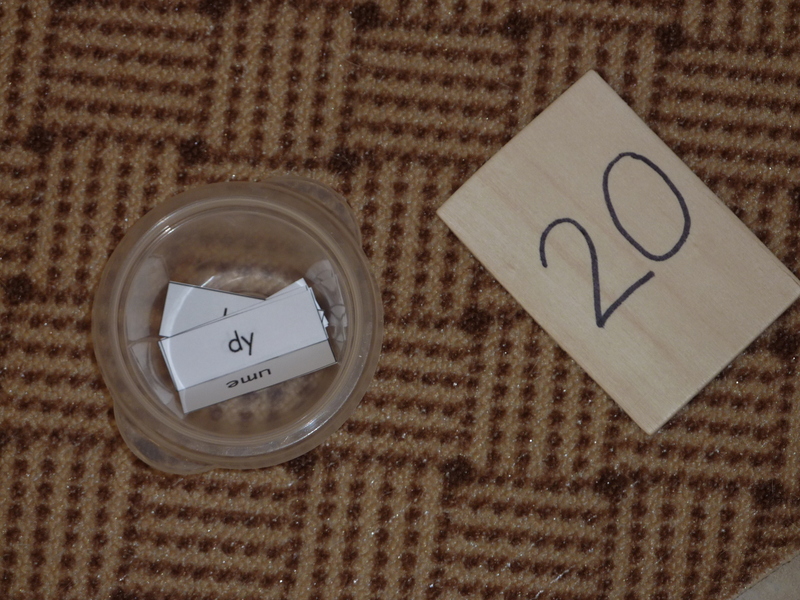 I could also have used index cards, calendar cutouts or calendar numbers but have found that the sturdier the better when making materials I’d like to use over and over again. The wood pieces have held up really well through 3 years of My Obstacle Courses. 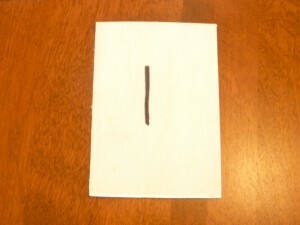 Rectangular wood piece with numbers written on with black permanent marker. I place them next to the station activities and he uses them to see how he is supposed to progress through the Obstacle Course. They provide structure, make it systematic and I think that they even help to make it an “official” event for him, not just some activities thrown around the room. With the numbers, it’s the real deal. There is no question about where to go next, he just looks for and proceeds to the next station number. This also eliminates him seeing more preferable station activities and running to those. It has the same effect as writing out the directions by placing some distance between me and the activity. It’s not me telling him what to do, the number is there and we need to go in order. He knows that he needs to finish one station, even if that means with assistance from me, before moving on to the next. I have found this to be such a simple but helpful addition to My Obstacle Courses. I use them each time we do one and it helps me at every stage, from planning to implementing, because of the structure it provides. 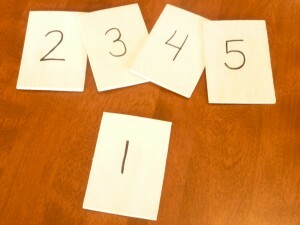 I love easy to make materials that help to make my life easier!